November 19, 2015 – IK Multimedia, the leader in mobile music creation technology, is pleased to announce that iRig® Keys MINI, the newest addition to the immensely popular iRig KEYS universal MIDI controller range, is now shipping. iRig Keys MINI offers universal connectivity to a full-featured playing experience in an ultra-compact enclosure with 25 velocity sensitive mini-keys and full MIDI edit features, plus over $/€360 worth of included apps and software. Now players, producers, sound designers and audio engineers can plug in and create anytime and anywhere with compact convenience on their iPhone, iPad, iPod touch, Android, Mac or PC. iRig Keys MINI is also fully compatible with Apple’s GarageBand and Logic Pro X, and compatible with a wide variety of third party apps and software, like Samsung Soundcamp, Cubasis, MultiTrack DAW and more. iRig Keys MINI is available now from music and electronics retailers worldwide, and from the IK online store, for $/€79.99 (excluding taxes). October 13, 2015 – IK Multimedia, the leader in mobile music creation, is pleased to announce iRig® Keys 25, iRig® Keys 37 and iRig® Keys 37 PRO. These three new MIDI keyboard controllers are specifically designed with mobile Mac and PC musicians in mind. Each one offers a different keyboard layout and size: iRig Keys 25 comes with 25 mini-keys, iRig Keys 37 comes with 37 mini-keys and iRig Keys 37 PRO comes with 37 full-sized keys. All three come loaded with all the features and controls required for superior portable performance. Now Mac and PC musicians can have a keyboard with them wherever they go. Affordable, comfortable, expressive and musical describe IK’s newest range of keyboard controllers. 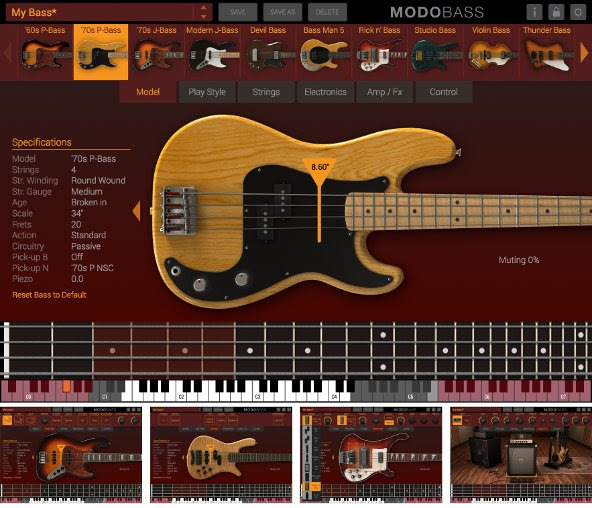 Each option blends portability with playability in a way that’s guaranteed to inspire keyboard players of all kinds. Both iRig Keys 37 and iRig Keys 37 PRO feature a stunning 37 key keyboard – that’s a full 3 octave range plus 1 extra note. This is the widest octave range available for a mobile keyboard of this size. iRig Keys 25 cuts this down to 25 keys for the utmost in compact design and portability. 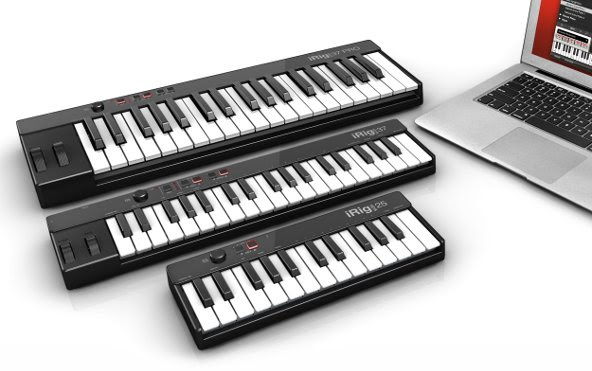 iRig Keys 25, iRig Keys 37 and iRig Keys 37 PRO are designed to be plug-and-play compatible with both Mac and PC. An included USB cable along with full MIDI and USB class-compliance make this possible. For true portability, they are all powered by their connected device – no batteries or extra power cables are necessary. 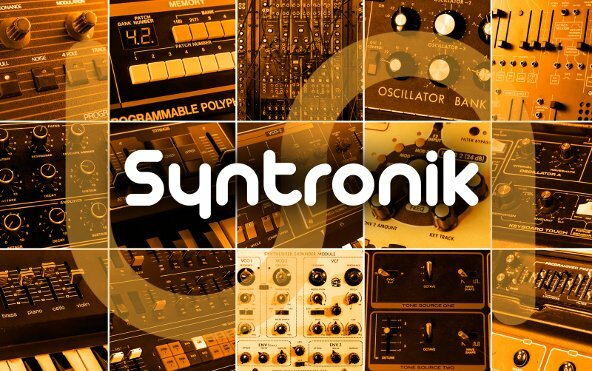 All three can be used with IK’s comprehensive range of powerful software, and other popular music creation programs. And while small, they all offer all the required controls and features that makes for a truly effortless portable playing experience. iRig Keys 25 features velocity sensitivity, octave up/down buttons and a volume/data knob. iRig Keys 37 and iRig Keys 37 PRO add to this feature set with modulation and pitch-bend wheels, an optional input for a sustain or expression pedal, 5 soft-touch backlit buttons and a “Set” button for storing and recalling up to 4 different alternate hardware assignments. For immediate playing, all three keyboard controllers come bundled with SampleTank 3 SE, a special version of the ultimate sound and groove workstation for Mac/PC. 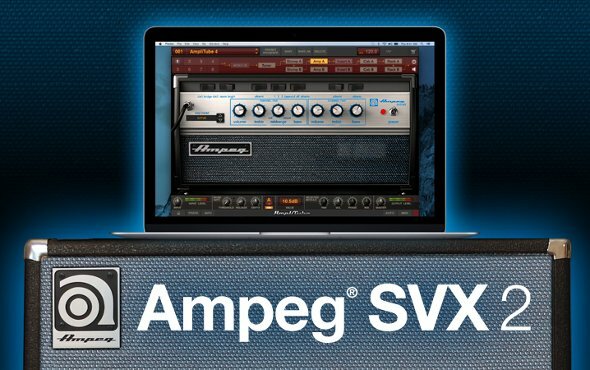 It features an expandable 6.5GB sample library with instruments in categories that cover everything from acoustic to electronic and beyond. 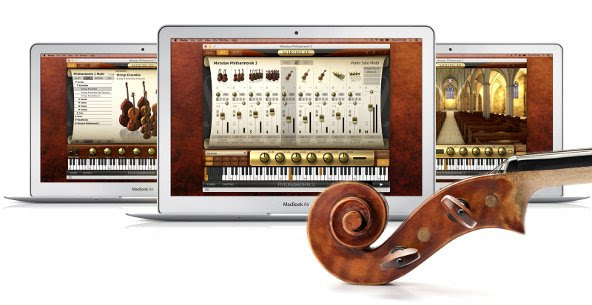 And, when users register their keyboard controller, they’ll also get a spread of free instrument collections. 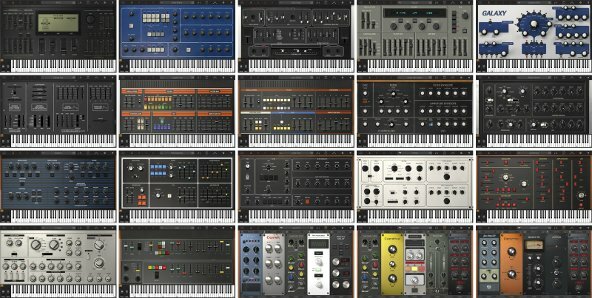 These collections include The Grid, a collection of cutting-edge electronic construction kits and drum kits plus 5 instrument collections of the user’s choosing from IK’s electronically focused Beats and Elektronika series. All in all, it’s a total of $/€340 worth of software products. iRig Keys 25 is available for $/€59.99*, iRig Keys 37 for $/€79.99, and iRig Keys 37 PRO for $/€99.99 from music and electronics retailers and from the IK online store. In the United States, the iRig Keys USB line is available exclusively from Guitar Center®, Inc., Musician’s Friend® and the IK Web Store.